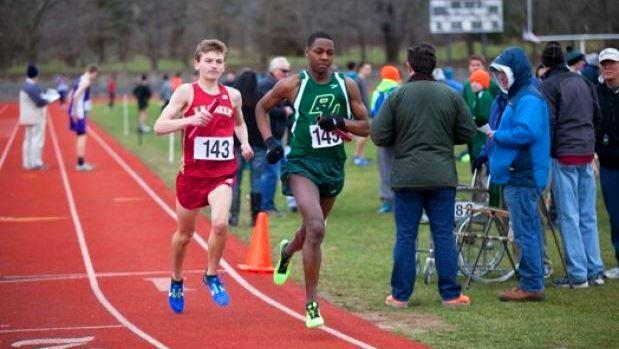 VOTE for Top Performance at K of C Relays! The first invitational meet of the outdoor track & field season was held this past Saturday with the Knights of Columbus Relays at Conley Stadium. Now it's time for your Vote! What do you feel was the top performance of the 49th annual event. We listed six that we felt stood out from the rest. VOTE for the one you believe is the best of the best. Voting ends on Saturday at midnight. By the way, the winners of our last poll from a few weeks ago where we asked what you thought was the top performance of the indoor season was La Salle's DJ Principe and the Westerly girls. Principe collected 92 votes for his record-setting mile at the New Balance Games where he clocked a nation best of 4:00.97. The Bulldogs received 177 votes for their nation No. 11 of 4:09.07 in the Emerging Elite Sprint Medley Relay at the New Balance Nationals.